Suli must either become a wise woman or be shunned as a witch. Apprenticed to the wise woman Tala, Suli's magical education is cut short when a witch kidnaps her teacher to learn the secret of shape-shifting. Suli discovers she's inherited the shape-shifting ability, too; she learns to fly and to talk to animals. 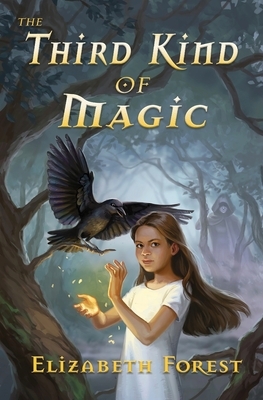 With her teacher missing, Suli is the only one who can protect the animals from the witch, but that means learning the dangerous third kind of magic. A wise crow teacher agrees to help. Then the witch asks Suli to make a terrible choice: Suli must live with the witch as her apprentice, or she'll never see Tala again. But if she agrees, she'll be called a witch for the rest of her life. "The two things I dreamed of doing as a child were to fly and to talk to animals. This marvelous children's book brought this reader back to that happiest of times when everything was possible and wishes could come true." Ginny Rorby, winner of the American Library Association's Schneider Family Book Award for her YA novel, Hurt Go Happy, a novel about a chimpanzee who uses sign-language.